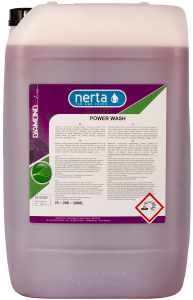 NERTA CARNET JUMBO is a concentrated and gentle vehicle cleaner that is not corrosive and has an exceptional soaking power to safely clean any car. Unlike the majority of alkaline cleaners, Carnet Jumbo is not corrosive and has an exceptional soaking power to safely clean all types of vehicles.  It is easy to rinse and leaves a water repellent, shiny finish. 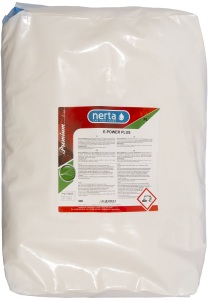 Whilst not as fast as a corrosive TFR, Carnet Jumbo is still a quick and easy to use cleaner. The touchless performance reduces the risk of scratches from grit trapped in sponges and does not use strong corrosive components to clean. 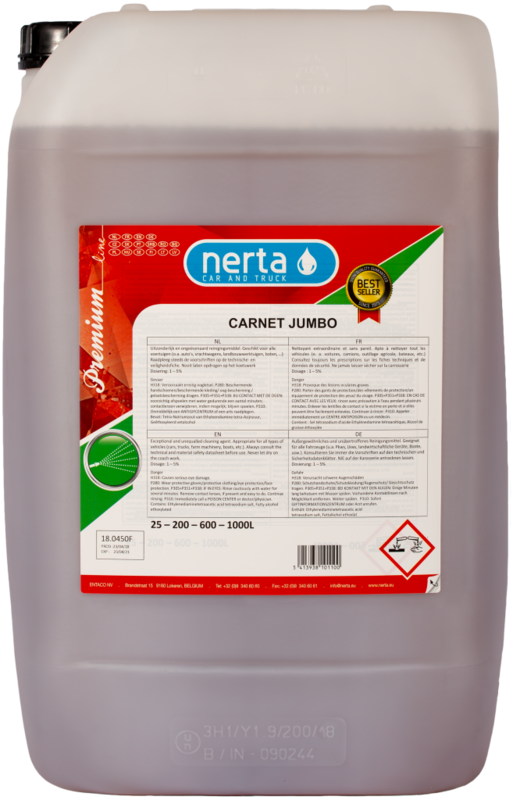 This makes Carnet Jumbo the ideal choice for anyone who cares about the condition of their vehicle. 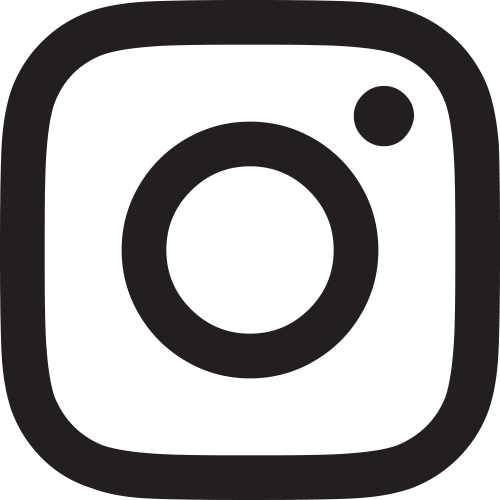 CARNET JUMBO is an exceptionally soft wash agent. 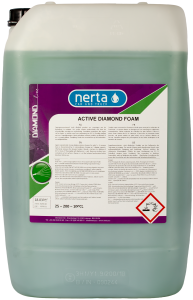 It can be used as both prewash and shampoo in automated systems with brushes, fogging systems and spray arches, or for manual use, highly diluted through high pressure cleaners and with foam systems. 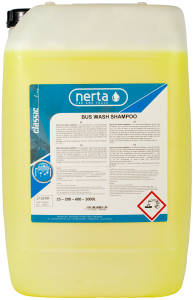 Get your fleet ready with Nerta's best selling product.